The Footscray Community Choir – Singing with purpose, for well being and joy in Melbourne's west since 2016! 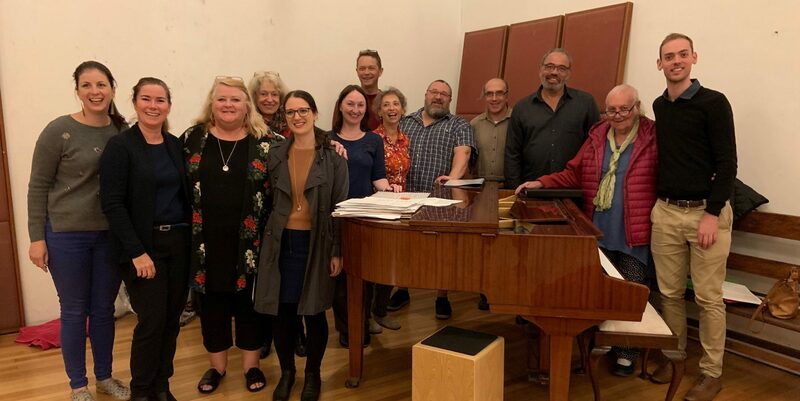 Welcome to the website of the Footscray Community Choir, a community choir for Melbourne’s inner western suburbs that was established in 2016. The group is led by John Howard and Christopher Nankervis on piano. Our goals: fun, wellbeing, inclusiveness, MUSIC! We sing a broad range of styles including pop (old and new), world music, folk, and classical. The choir meets every Monday night during school terms at the Body Voice Centre, 50 Wolverhampton St Footscray between 7-9pm. New singers can join any time. First rehearsal with the group is free! Follow us on Facebook for regular updates and videos.